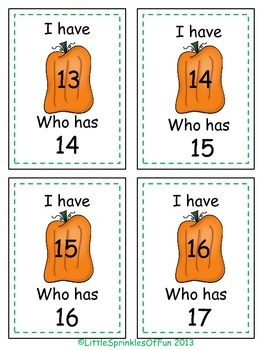 Get your students excited about learning their numbers with this fun number game. In this whole group game the students begin to learn their numbers by saying the numbers and recognizing the numbers on the cards. I created this "I have Who Has" game in number order. Early on in Kindergarten it is important that the students can say and recognize the numbers in order. 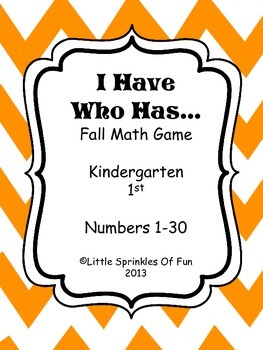 This is a great game for lower elementary! Especially, when you are trying to get the students to recognize and name the numbers.